Kanji, the logographic form of Japanese writing, was borrowed from China in somewhere between the 2nd century BCE and the 4th century CE, from the Han and Sui dynasties. Along with hiragana and katakana, it forms the basis of Japanese script. It also forms the basis of one of the most amusing pastimes for the student of Japanese or Chinese, namely, reading the often incorrectly written tattoos of passers-by. (Disclaimer: While many or most of the pictures in this post are of incorrect/unintended characters, I do not deny that many people in the America and elsewhere outside Japan use kanji correctly. These are simply much funnier.) 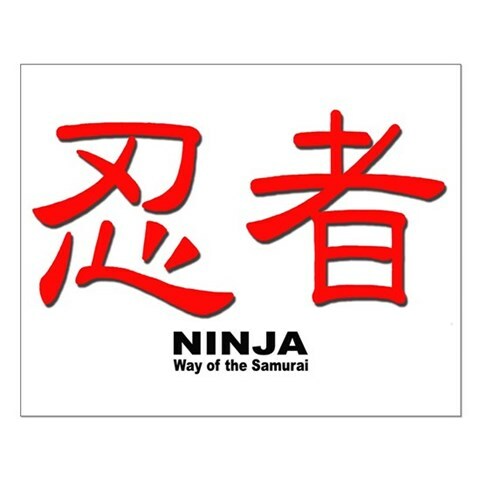 Kanji are all over the place in America, on signs, clothing, and perhaps most intriguingly, on our bodies. The purchaser wanted the character ‘beauty,’ 美. This character means ‘disaster’. The irony is cruel sometimes. Kanji have their own unique draw for many; aside from the aesthetic appeal, kanji offer one of the strongest direct links to an as yet undefined Japanese-ness. Characters are in no way mukokuseki, although there may be confusion among non-experts as to where exactly the characters come from- after all, Chinese hanzi, Japanese kanji, and Korean hanja all stem from classical Chinese characters. Regardless, the very appearance of these characters has become linked in general western conception to the exotic by reverberations, still felt today, of movements such as Japonism and the dreaded Orientalism. For many, this exoticism is the draw of kanji: a system of meaning quite unlike that used in English, endowed with great aesthetic qualities, and presumably emblematic of the culture they represent. 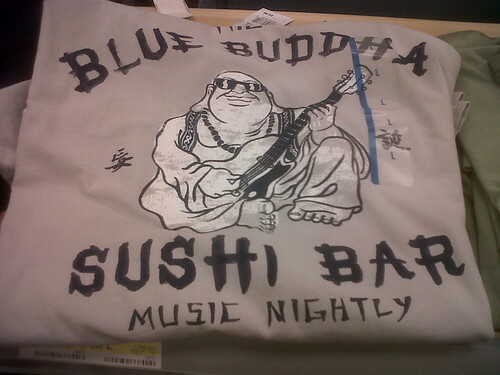 Neither of these characters remotely pertains to sushi, music, or Buddha. Would you consider getting a tattoo of kanji characters? Do you know someone who has? Indelibly placing on your own body words of a language you do not speak- where does this fall on issues of representation? Are the characters subsumed by the intention of the person tattooed, or if the tattooed person does not have a grasp of the language’s intricacies, do the characters wield a power of their own? Where/do you see kanji in your everyday life? Does kanji carry a component of native Japanese-ness, or merely otherness to a relatively uninformed audience? Lei, Daphne P. “The Blood-Stained Text in Translation: Tattooing, Bodily Writing,and Performance of Chinese Virtue.” Anthropological Quarterly, 81,1: 99-127. “Logogram.” Wikipedia, the Free Encyclopedia. Web. 06 Apr. 2011. <http://en.wikipedia.org/wiki/Logogram>. Schildkrout, Enid. “Inscribing the Body.” Annual Review of Anthropology, 33: 319-344. <http://www.jstor.org/stable/25064856>. I’ve been waiting to see if anyone in class would write about the coolness of kanji and Japanese writing in general, so I’m glad to see someone finally has. I have noticed similar patterns to those you described, where Westerners are drawn to kanji because the concept of written communication through logographs is so different from what we are accustomed to. They are exotic, concise, and aesthetically pleasing. I don’t think you mentioned this anywhere in your post but it seems to me that many who choose to get kanji tattoos do so in part because it makes them feel good to know what their tattoo says when other people don’t, or that it makes them feel “cool” for having some kind of connection to Japanese culture, which is so often seen as fascinating but somewhat impenetrable. I’d be interested to hear more about kanji in the West, beyond body art. How else is it used (correctly or otherwise) today that would not have been true before Japan became “cool”? What implications does this fascination with kanji have? Are we seeing a surge in numbers of students who study Japanese, and can this be in part attributed to the coolness of the language itself, and not just the culture it represents? This topic is very interesting and also very fun to see work in our every day lives. I do indeed have friends who have Chinese characters as tattoos, and they have friends who have Chinese characters as tattoos. It’s amusing because most of the time these people will go to get the tattoo based purely on aesthetics and not on the meaning behind it; aesthetically pleasing characters don’t always have a great meaning behind them. I mainly feel that the exoticness of the character is what really draws people to it, and as you put it, it is the “cool” factor from their impression of “Japanese-ness.” While it does seem incredibly silly, we can also see it in reverse cultures, but not to the extent of inking it into the body itself. In Japan, many people wear clothes that sport English on them, mostly used incorrectly and making no sense or mocking things of American / Western culture. I believe, for the Japanese, the appeal is very similar. It gives them the link to feel “western” and cool, possibly having a slight grasp as to knowing what their t-shirt says while their peers don’t. What’s amusing though is that the incorrect usage of Kanji / Hanzi will give Japanese / Chinese people a chuckle as they read it, the incorrect use of English will give us the exact same chuckle. Many people will argue that importance / usefulness of writing kanji is beginning to fall. Young people these days have no more need to write kanji as much as their parents and grandparents had to with the advancement of technology. Would westerners begin to lose interest when the emphasis on kanji shifts from creation of to purely linguistic meaning that young people will begin to associate it with?